This weekend I want nothing more then to layout at the pool and get lost in a good book. I've heard so much about Fifty Shades of Grey (who hasn't?) that I think I'm finally going to jump on the bandwagon and make the purchase. What are your thoughts on the book if you have read it - and have you read the whole series? My Birthday is just a little less than 2 weeks away. I'm not a huge fan of my birthday (long story) but hey its a reason to celebrate. Andy always likes me putting a list together of items I would really like to get for my birthday, and then he shares them with my Dad and his parents. So since I had to create one already here is what I'm currently coveting. 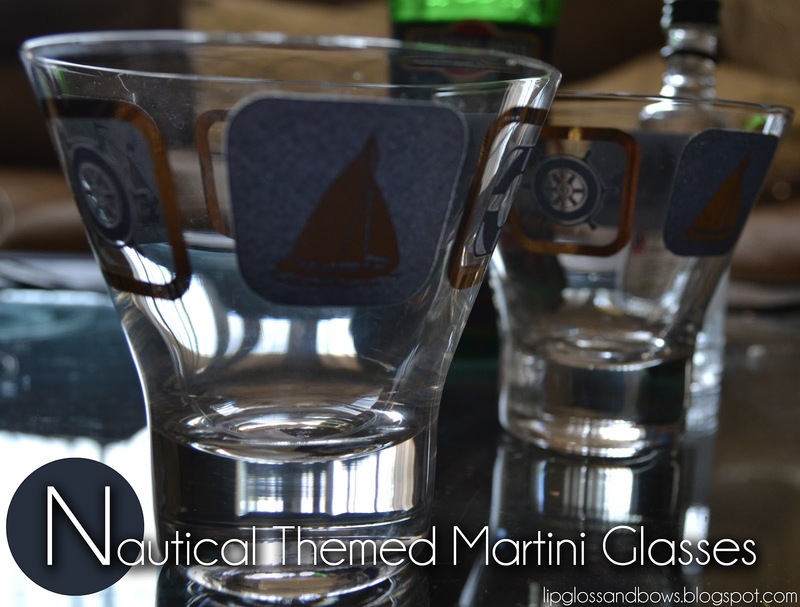 Unfortunately for us we don't have a boat (yet we live in the Great Lakes State) but when we do these will be perfect and there is no reason for us not to love anything nautical. 1. Party Favors - Cupcake mix favor boxes with a special recipe inside for guests to make at home. 2. Flowers - A cute bouquet of carnations and filler from Vanessa's Flowers here in Plymouth. 3. Drinks - Champagne punch served in juice pitchers jazzed up with purple and gold ribbon and chevron name tags that I created myself. 4. Dessert- Champagne cupcakes made with this recipe for dessert. Same recipe found in the cupcake favor boxes for guests to make at home. It honestly has to be my new favorite recipe. I have to say I am one of the worst bloggers. It has been absolutely crazy between work and bridal shower planning that honestly I haven't had a second to do much. But I promise to have some AWESOME DIY photos of all the bridal shower ideas I have compiled for my girlfriend Brittany's shower that I put together for next weekend. I would have to say I did really well for being a MOH on a budget and I'm hoping Brittany will be pretty excited of all that I have come up for her. I got a lot of great ideas on line and I can't wait to share them all with you. 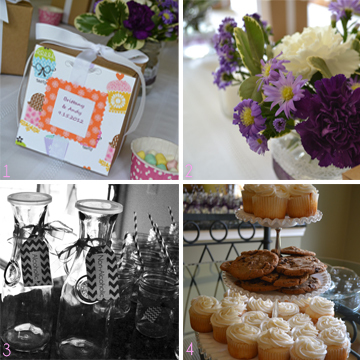 Last weekend one of my best friends had her first Bridal Shower. I was in charge of the bridal games, and had a few suggestions. 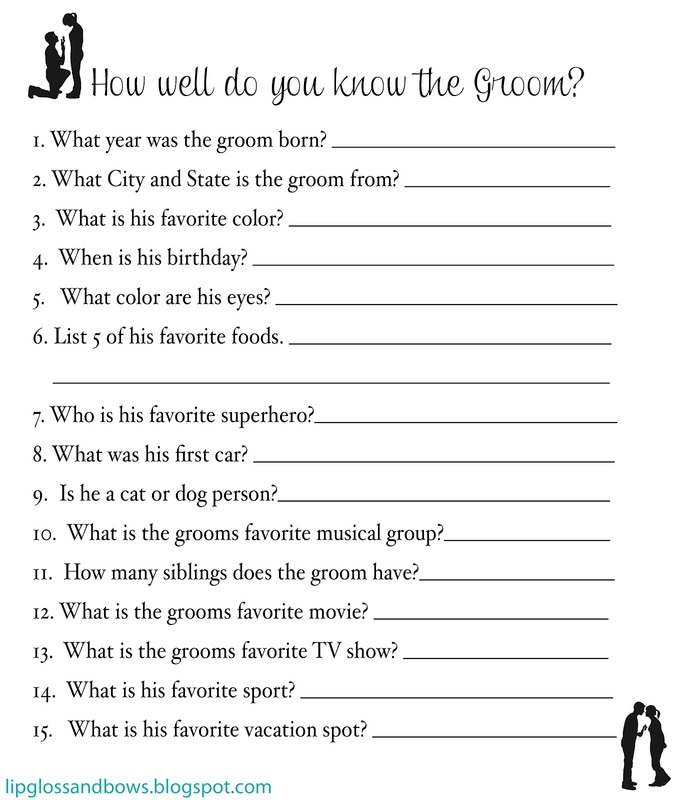 One she really wanted to play was How well do you know the Bride? However, her fiance' Brian was planning to be there as well for some of the activities so she wanted to incorporate him as well. So I created a quick template in adobe and printed some copies off. Every weekend I find myself booked from the moment I make it home Friday night from work to the minute I go to bed Sunday night. It is a never ending cycle in which I'm starting to find exhausting. It seems that once Monday hits I still have not had a chance to regroup and I can admit I'm not the nicest person. So this weekend I tried something new, I stayed in. It was honestly probably one of the better weekends I've had in a long time. I was still incredibly busy, but I wasn't hung over from going out, and I probably got more accomplished in just one weekend than I have in a month. What really helped was keeping my phone out of reach. I found myself Saturday morning out running errands and had left my phone at home. At first I admit I panicked, I thought to myself, "What if I get into a car accident." What if someone needs something?" then I remembered people didn't have cell phones for years. They survived and I would too. Clearly I did and to be honest I think I'd like to leave my cell phone at home more often. I'm finding since my phone has my work e-mail hooked up to it as well I am spending more time working then actually enjoying my weekend. It's time to disconnect regardless of what is going on just so that I can regroup. If you haven't tried it and find yourself glued to your phone, try it. I promise you will feel so much better.